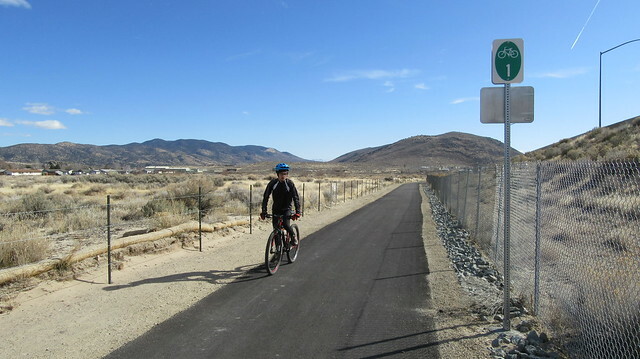 A new section of bike path has been built on the east side of Carson City. 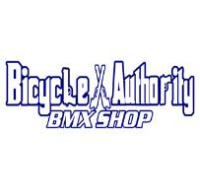 An extension of Bicycle Route 1, this 0.8 mile section starts near Airport Road and 5th Street on the south end, and goes to North Lompa Lane and William Street on the north end. While 0.8 of a mile doesn’t sound like a lot, it’s what this path connects that is the big deal. If you think of the Airport Road and 5th Street area as a hub, this new bike path is the spoke that was needed to connect to the north end of town. Taking advantage of a break in the winter weather, we got out for a loop ride around the city. From downtown, we headed east along the 5th Street bike lanes to the south end of the new path. 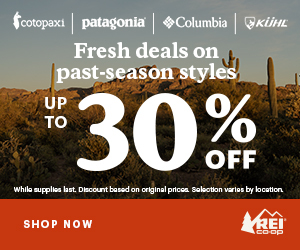 Multiple paths converge in this area. 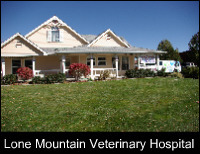 To the east, a path leads to Moffat Open Space, Riverview Park, Mexican Ditch Trail, and Silver Saddle Ranch. A path paralleling Fairview Drive starts at the 5th Street roundabout, and ends up nearly a mile to the south at Edmonds Drive. South-westbound, a path goes all the way to Fremont School and Governors Field ballpark. Bike lanes along 5th Street allow safe passage back to downtown. 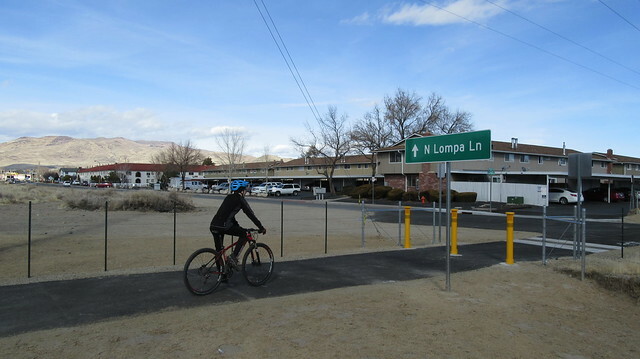 Following the new path to the north, it’s easy to connect to the bike path at Lompa Lane and Northridge Drive. And from there, the path continues to College Parkway and further north all the way to Silver Oak Drive. The new path is to the east the freeway and meanders through the wetlands created from Ash and Kings Canyon creeks. The path is built high on raised earth where it borders the wetlands, so it should be able to withstand any high water events. 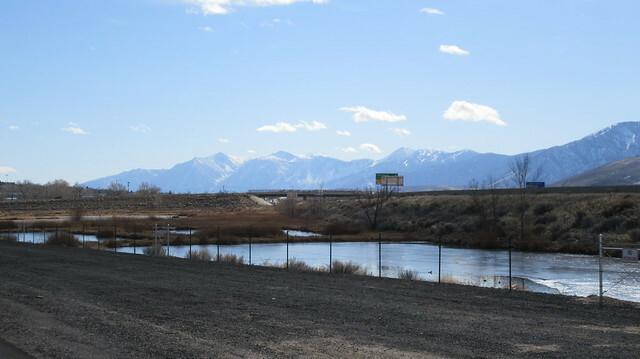 There are great views of the mountains to be had in all directions, including the far-off mountains of the Carson Range in Douglas and Washoe Counties. Although we rode through the new section of path rather quickly, we passed many other trail users in the short amount of time. All age groups were represented, ranging from little first-time riders, to a senior citizen out for a walk with his rolling walker! There’s a traffic light to cross the highway at North Lompa Lane and William Street. North-South traffic is fairly light at this intersection, so it makes a relatively safe place to cross. It’s still a long span of 110 feet to get across William Street, though, so traffic awareness is a needed skill…something to consider for younger riders. It’s great to have this piece of the bike route network in place! It’s a small piece, but connects so much. 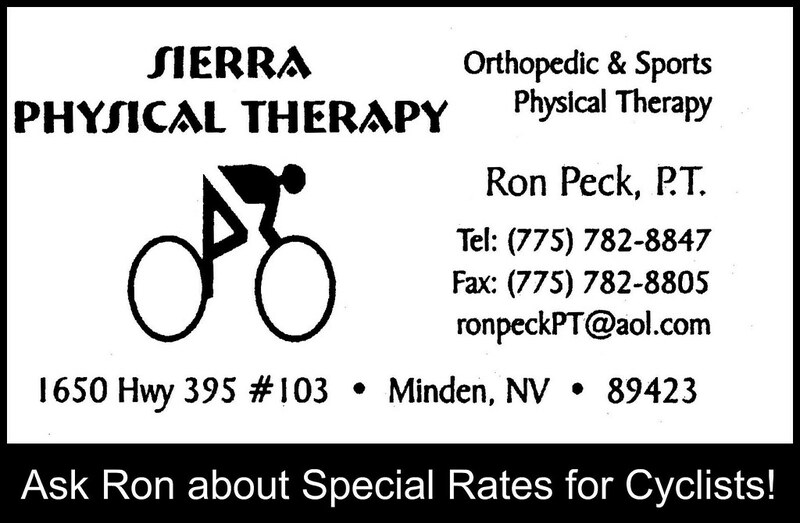 In the coming years, I hope to see the bike path continue south along the freeway all the way to the Spooner cutoff. If and when that happens, we’ll be able to ride a bike the whole length of the city with only a few road crossings and very little traffic! Thank you for sharing! 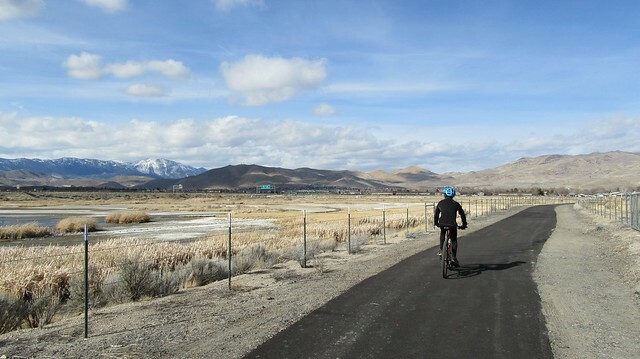 We sometimes take our bikes to Carson City to ride around and have lunch so it’s nice to know of the connectivity the City is creating for safe passages! Hope to check it out soon. Been a fair weather and “extreme east side” resident with the view-to-die-for, coming up on 4 years. A nice connection. I will be sure to expand my travels. 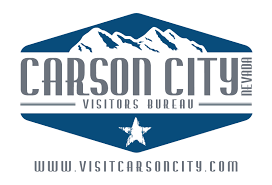 Looking forward to the S Carson bicycle accommodation upgrades — Soon-!